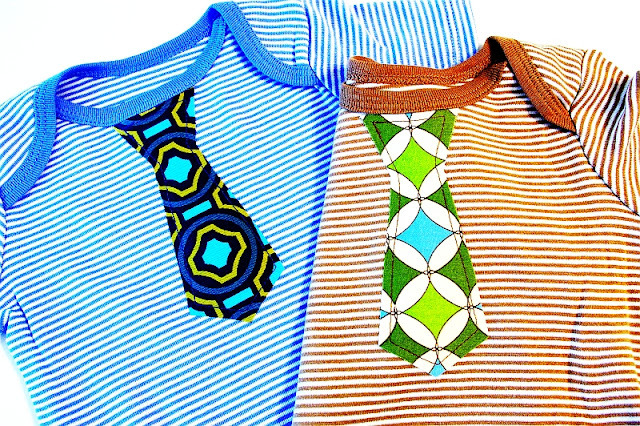 Upcycle, Refashion or Create a fun boys shirt! These are great to create for your own family or to give as gifts. I recently used these as part of the decorations for a baby shower I hosted that the guest of honor then took home as part of my gift when the baby shower was over. 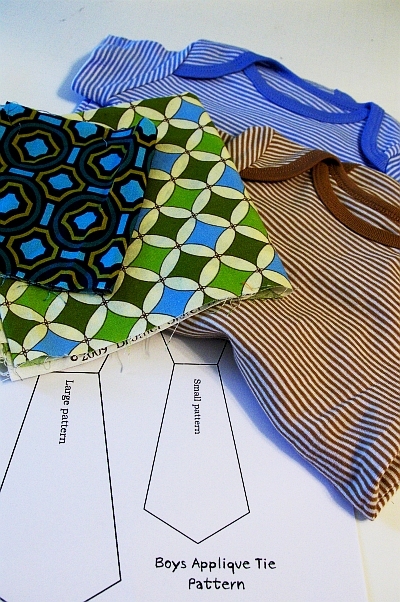 Step 1: Choose which sized pattern of Tie fits best for the size of onesie/tshirt you are working on. Cut out the pattern. Choose a coordinating fabric and apply a piece of Heat n’ Bond to the backside of the fabric according to the package directions. Place the Tie pattern on the Heat n’ bond and trace. Cut it out. Step 2: Peel off the paper backing and position on the onesie/tshirt. 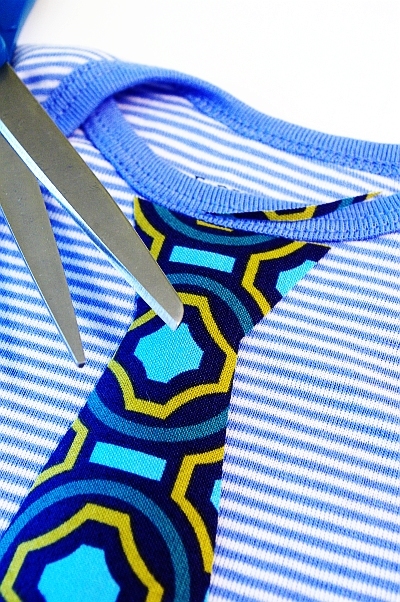 (1st photo) If desired, cut the top of the Tie to match the rounded angle of the neckline. (2nd photo) Iron fabric Tie into place. 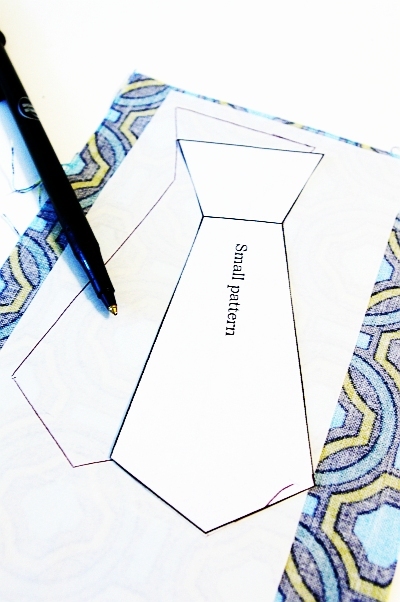 Step 3: Sew the fabric Tie into place by using a straight stitch, zig zag stitch or satin stitch. You choose for the look you want. 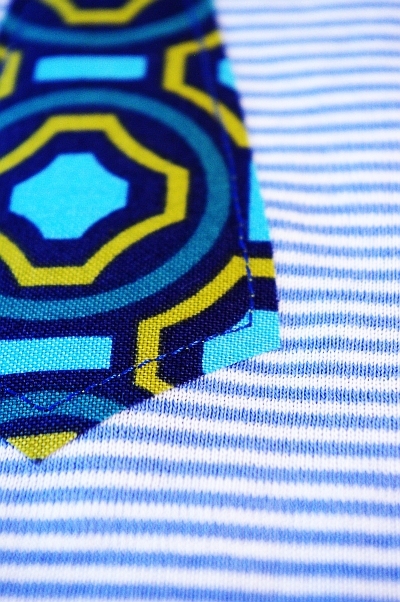 It’s an easy, quick way to transform a plain shirt into something fun! A great way to coordinate sibling outfits too! Don’t forget to share your photos if you give this a try on the Brassy Apple projects Flickr Group! I will be linking up at the crafty parties listed on the left sidebar! Don’t forget to enter the Shabby Apple giveaway! This is adorable! Definitely going into my inspiration file! So stinking adorable! I love the idea of getting double use and hanging them as decorations. They’re too cute to pack in a box anyway! Hi Megan, thank you for grabbing the button! I really appreciate your help for this cause. Thanks for the template! Can’t wait to make some for my lil guy. Thank you for this great tutorial for boys’ onesies. It’s hard to find cute stuff online for that gender, so this is a huge help! 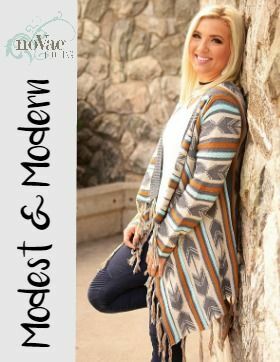 These are darling, I love the patterns you used! These turn out so cute! Those are SUPER cute! 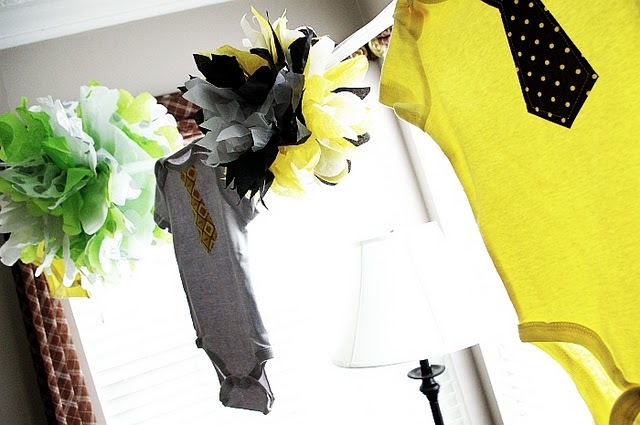 I love how you take something usual and use it in an unusual way… Like onsies as decorations at a baby shower!! It’s a decoration the momma can take home! Love it! Super cute! Thanks for linking up at Giggles, Glitz & Glam! Something is in the air! I just posted my onesies with appliqued ties yesterday! I just love this project. It’s been featured in our Homemade Baby Gift Picks on Baby Gift Hot List! If you’d like, grab a button, and share the news! I just made up 3 of them! One for my little guy and 2 of them for gifts. Tomorrow is my cousin’s twins 1rst birthday and I made them matching shirts. 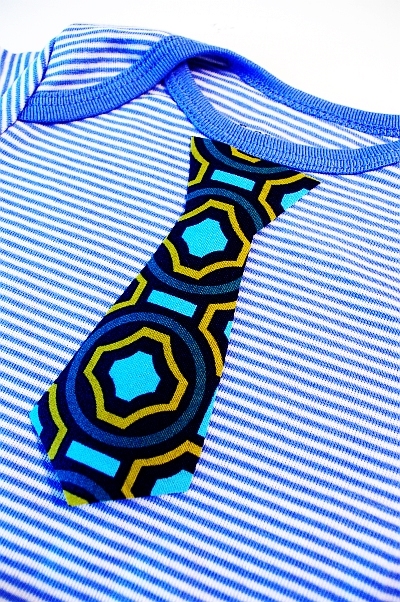 My son’s tie matches theirs but they have different color shirts. I can’t wait to get pics with them all wearing their shirts. These little guys are just 3 weeks apart so they really look like triplets when they are all together, lol. These are soooooooo cute! I’m making my son a couple and he’s a big boy! But I have to ask…how did you make the cute puffs hanging on the line? HI PAM! your comment got lost in moderation. I just got it today! Search for tissue paper pom poms on google and you will find some tutorials! good luck! Very cute and creative ideas! Sure makes it easier to be able to make some matching neckties for my boys and their dad! These are adorable! I just made one for my son yesterday and zig-zagged around the edge to finish it off. However, it looks a little bumpy (like the t-shirt stretched while sewing). Do you know how to avoid the “t-shirt stretch”? I’m wondering if I should have put another piece of fabric underneath? Lindsay – yes sometimes knit gets stretchy. You need some stabilizer underneath or you can use coffee filters underneath too if you don’t have stabilizer on hand! 🙂 good luck!